This is excellent! 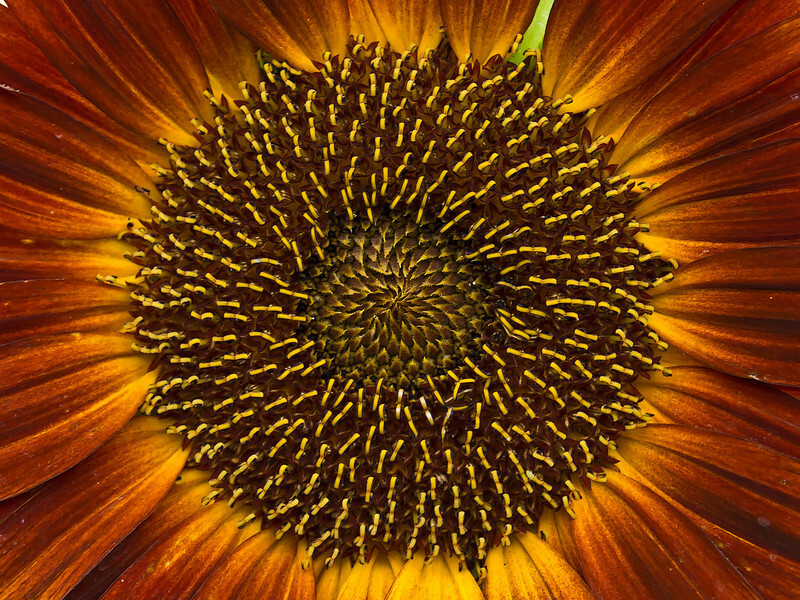 The centers of Sunflowers are so intricate and interesting. It looks like this might be one of the orange varieties. Well shot!